Little Rock Federal Criminal Defense Lawyer - Oberheiden, P.C. Are you under investigation by the FBI, the DEA, or the IRS? Are agents from the Department of Justice or the Department of Homeland Security showing up at your business or your house? Did you receive a grand jury subpoena or a target letter? Are you concerned that the government is after you? Is it time to consult with an experienced Little Rock federal criminal defense attorney who only handles federal cases? Meet Little Rock, Arkansas serving attorney Dr. Nick Oberheiden. Licensed in both, the Western and the Eastern District of Arkansas federal court system, Nick dedicates his entire practice to defending people unjustly accused of federal offenses like opioid abuse, health care fraud, mail fraud, wire fraud, money laundering, drug trafficking, bribery, identity theft, bank fraud, federal conspiracies, tax fraud, computer crimes, and many other federal offense types. Featured by media stations across Arkansas, Arkansas criminal defense lawyer Dr. Nick Oberheiden has built a track record of having avoided criminal charges in hundreds of federal cases (including in every single grand jury investigation!) against his clients. Nick has turned criminal cases into civil cases, convinced prosecutors to stop investigations, and saved the professional license of a plethora of doctors and other professionals accused of federal fraud. Unlike most other lawyers you may find online, Nick does not take domestic violence, DUI, or assault cases. Why? Because just like a spine surgeon does not do dentist work on a side, Nick believes that a true federal lawyer should not get involved in state offenses (like DUI). So, if you are looking for features that distinguish Nick from virtually all other criminal defense lawyers: Nick’s practice is 100% federal law and Nick’s track record is 100% federal. Example 1: Drug Diversion Overdose: No Charge. Example 2: Life Sentence for Drug Offense: No Charge. Example 3: Health Care Fraud Grand Jury: No Charge. There is a reason why media stations and clients from across the United States seek Nick’s advice when it comes to federal litigation, federal criminal defense, and government investigations—because this is exactly the type of work Nick does for his clients. Do you have questions about a federal situation? Call Nick today and get trusted experience on your team! Federal cases are not the same as a DUI or shoplifting offense. Nothing is scarier than facing the Department of Justice and the FBI trying to prosecute you. In federal cases, you simply can’t wait to hire a lawyer; you can’t experiment and start off with the wrong lawyer. By the time you realize that you hired a clueless lawyer, you may already be charged. Nick is not a DUI defense attorney and he is the wrong lawyer to call for shoplifting. However, when the United States government, the Department of Justice, the Little Rock U.S. Attorney’s Office, the FBI, the IRS, the DEA, or the OIG-HHS agents are after you, you may consider Nick’s federal experience to avoid jail or to get the case dismissed. (1) Arkansas FBI, OIG, DEA, IRS Investigations. Nick has represented hundreds of people and businesses facing health care fraud, tax fraud, mail fraud, wire fraud, opioid fraud, computer fraud, or other federal felony charges. The reason that the vast majority of Nick’s clients have not been charged is because of Nick’s unique approach of defending his clients. Ever heard of offense is the best defense? Exactly! Rather than sitting back and waiting for an event to happen to then defend his clients, Dr. Nick Oberheiden pursues an intense proactive approach challenging prosecutors and agents and confronting government decision-makers with exculpatory evidence, reasonable explanations, and factual and legal defenses BEFORE they are committed to bring charges. Call Nick at 866-Hire-Nick and find out how he can help you today! (2) Little Rock Grand Jury Investigations. Clients from across the United States hire Nick to assist them with his experience in federal grand jury investigations. Nick has represented dozens and dozens of individuals and companies in some of the country’s best-known high-profile investigations as well as business owners just trying to save their license, livelihood and their liberty. If you think that just producing requested records to the grand jury is the appropriate response to a grand jury subpoena, you are wrong. Dead wrong! Call 866-Hire-Nick to speak to Nick immediately and directly and obtain the advice needed to stay out of trouble. (3) Case Dismissals & Probation. Few lawyers (feel encouraged to ask!) can represent to you that they have obtained dismissals in federal cases involving the United States or obtained probation in cases, where the sentencing guidelines suggested years of incarceration. Nick is that kind of lawyer! Just most recently, Nick convinced a federal judge to grant his request for probation in a severe computer crime case. Similarly, Nick’s vivid court presentation persuaded a federal judge to grant Nick’s request for probation in a federal health care fraud case despite the government’s articulate opposition and a suggested sentencing of years in prison. Little Rock, Arkansas is part of the Eastern District of Arkansas, which is one of 95 federal districts nationally. Federal prosecutors and FBI, DEA, IRS, and OIG agents in Little Rock and the counties of Pulaski County, Faulkner County, Grant County, Lonoke County, Perry County, and Saline County are tasked to prosecute any form of federal white-collar crimes (opioid fraud, health care fraud, mortgage fraud, bank fraud, securities fraud etc. ), federal drug trafficking, computer crimes, and violent federal offenses like kidnapping or RICO violations. The following are among the questions new Arkansas clients ask attorney Dr. Nick Oberheiden most frequently. Who Investigates Federal Cases in Little Rock, Arkansas? Little Rock and Arkansas are experiencing new heights in federal law enforcement investigations. Not a single week goes by without reports about new FBI and DEA takedowns, search warrants, arrests, and indictments alleging violations of federal law. In general, federal prosecutors from the U.S. Attorney’s Office in Little Rock, Arkansas (425 W Capitol Ave, Suite 500, Little Rock, Arkansas 72201) with the help of investigators from the FBI, the IRS, the DEA, the Office of Inspector General, the Department of Homeland Security, and other federal law enforcement agencies prosecute federal offenses. Why Are Arkansas Doctors Targeted? Arkansas doctors are targeted more than ever before after the Department of Justice announced to fight the national opioid crisis by prosecuting and arresting prescribing physicians. Family doctors, internal medicine specialists, pain doctors, psychiatrists, but also rheumatologists and veterinarians must recognize that health care fraud and violations of the Controlled Substances Act (opioid prescriptions) are top federal law enforcement priorities. Any Little Rock physician who has regularly prescribed narcotics or Xanax or similar drugs should immediately consult with an experienced attorney for a comprehensive risk assessment. Hundreds of doctors have been recently arrested; don’t be the next one. Why Are Little Rock Physicians Prosecuted in DEA Opioid Investigations? Arkansas physicians have prescribed significantly more than physicians elsewhere on a national comparison. In fact, 66 of the 75 counties in Arkansas are categorized as excessive when it comes to national prescribing rates. Consequently, Arkansas has experienced unprecedented waves of DEA search warrants, DEA opioid investigations, and federal arrests alleging criminal violations of the Controlled Substances Act, drug diversion, and prescription fraud. The DEA is currently reviewing prescription amounts and prescription types that Arkansas physicians issued between 2014-2018. Focus is opioid quantities, cash paying patients, documented clinical compliance plans drug diversions, and accidental patient overdoses. What Are Common Health Care Fraud Charges in Little Rock, Arkansas? The most common health care fraud offenses that agents from the Office of Inspector General, the Department of Health and Human Services, and the FBI investigates in Arkansas are Medicare fraud, Medicaid fraud, violations of the Controlled Substances Act, opioid and drug diversion offenses, Stark Law issues, and violations of the Anti-Kickback Statute. If your business is under investigation for any of these offenses or if you need reliable advice, you should call Nick to find out what to do and what defenses may exist to, for example, resolve home health certification (Form 485) or kickback allegations. How Does Sentencing in Federal Cases in Little Rock, Arkansas Work? Federal judges in Little Rock, Arkansas tend to follow, certainly consider, the uniform (but not mandatory) Federal Sentencing Guidelines. Under the guidelines, the U.S. Probation Office makes a sentencing recommendation to the presiding judge after a defendant plead guilty or was convicted at trial. Probation officers follow a point system, by which points can be added or reduced based on the role of the defendant, the gravity of the offense, the prior criminal history, and many other factors. At the sentencing hearing, the judge will hear the government and the defense attorney’s arguments to conclusively determine the appropriate case outcome. Will I Go to Jail If I Am Under Federal Investigation? Pursuing a proven and effective defense strategy can best avoid jail time with an experienced federal criminal defense attorney as early as possible in the case. The sooner you visit with the right lawyer, the more likely you will be able to explain your side of the story, introduce defenses and explanations, and walk away without charges or jail time. So, if you want to minimize your chances to end up federally incarcerated, call an experienced federal lawyer immediately. What Should I Do When FBI or DEA Agents Want to Interview Me? When FBI or DEA agents want to interview you, you should politely decline. You should insist on your lawyer’s presence and you should never speak to federal law enforcement, regardless as to how innocent you are, without first consulting with a lawyer that can explain the significance of an FBI interview to you. What Should I Do When I Receive a Grand Jury Subpoena from the U.S. Attorney's Office in Little Rock, Arkansas? 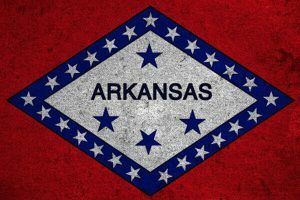 If you receive a grand jury subpoena from the U.S. Attorney’s office for the Eastern District of Arkansas or the Western District of Arkansas, you should immediately get legal advice from a federal defense attorney because you or your company might be under government investigation. A federal grand jury must determine against whom to bring felony charges. The fact that your business is considered a source of information is troublesome and you should not take this lightly. Many people end up being charged because they missed the opportunity to clear their name and involvement in a case when there was time to do so. Arkansas serving grand jury attorney Dr. Nick Oberheiden has represented countless companies and executives, physicians, and businesses in federal grand jury investigations—and built a hard to beat track record of avoiding charges on behalf of his clients. The easiest step in your case is to connect with Nick. Call 866-Hire-Nick and reach Nick directly. No secretary, no junior lawyer. Nick will find the time to discuss your questions, free and confidential, and will give you concrete and honest guidance how he can help you without ruining your budget. Dr. Nick Oberheiden is admitted to practice in all federal courts in Arkansas and his practice in Arkansas is limited to federal law. If you would like to speak with a trusted Little Rock federal criminal defense lawyer, call Nick or meet him in Arkansas, call him directly on his mobile phone, including on weekends, at 866-Hire-Nick. You can also contact him online. All consultations are free and 100% confidential.